When you think of predator, what image comes to mind? Probably, a big animal with giant sharp claws paired with huge fangs? Possibly a bear or a lion? Yes, we can read your mind…it’s ok. The fact is, that most predators do not fit this description. What about a long legged, slender, winged creature like a heron..or a small furry animal that looks, almost, cute enough to be kept as a pet, like a raccoon or…*gasp* a cat? Yep, they are all predators that want to get in your pond and find that 10 year old koi they have been eyeing for the past few months. So how can you protect your koi fish from these predators? We’re glad you asked, because we have some tips on how to do just that. Our number one way to protect your koi fish from predators is to have a fish cave, or several put in your pond. This usually happens when the pond is installed. But fear not if you already have a pond, we can still create fish caves to save your beloved koi fish. Fish caves are hiding places that fish can go to escape from predators. They are usually a ‘tunnel’ of sorts, which is created to blend in with the surrounding rocks. If there are many predators around your home, you may want to consider covering your pond with a net, especially at night, when many predators become active. Netting also works well in the fall, to catch any falling leaves or debris. Herons are territorial creatures, so if they see another heron in the area they are checking out, they will not intrude on this already dominated area. 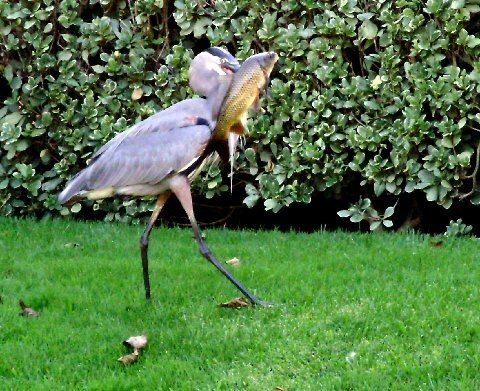 Herons also have natural rivals likes owls and snakes. Decoys can work very well to deter predators, just make sure to move the decoy around frequently so the predators don’t catch on to your game. There are many ways to limit the impact predators may have on your pond. 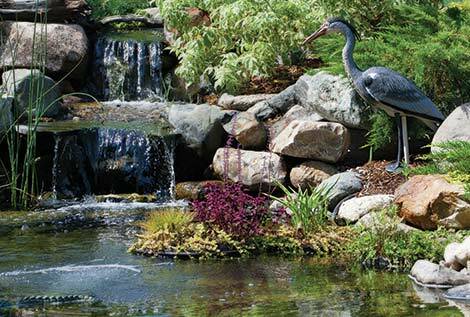 The first, more important measure to take is to make sure your pond is built correctly. A pond will typically have 2-3 shelves at varying depths, which is key because many predators will not venture into places where hunting is difficult and the fish can flee. 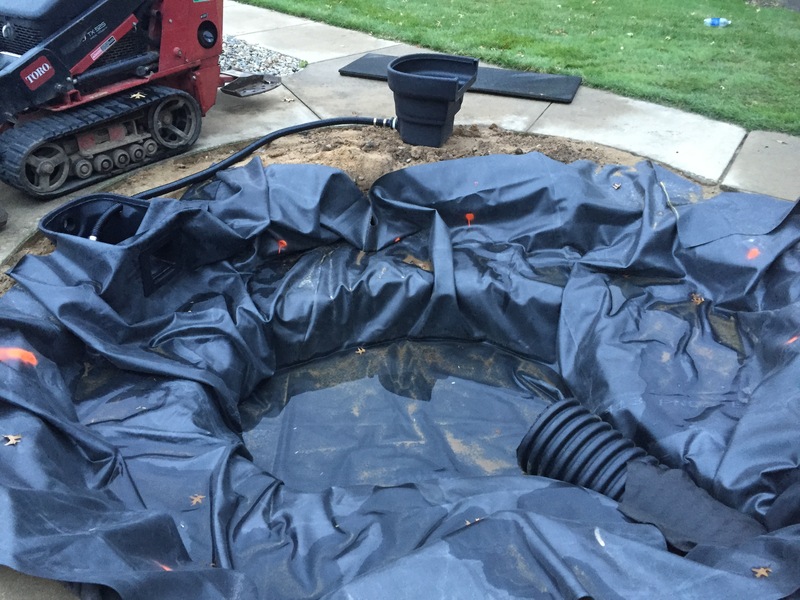 Check out Ponds 101 for additional answers to frequently asked questions, or contact us today if your ready to start your project or have additional questions.